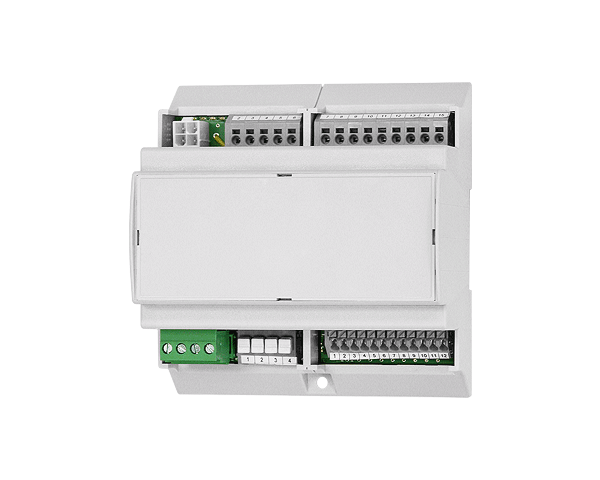 Expansion module provides additional relays and analog outputs in a DGC6 digital gas detection and control system. Also provides one-input, two-output splitting of the RS-485 communications bus. May be mounted in the DGC6 chassis or remotely anywhere on the RS-485 bus. Up to a combination of seven EP-06 modules may be connected to one DGC6, locally within the controller (five max.) or along the network.